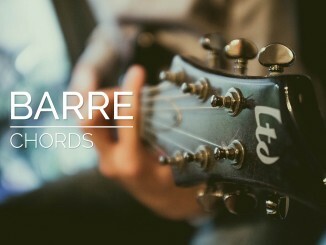 Learn how to transpose songs using three different methods. Transposing is an essential skill for any musician. This lesson will tell you why you need to know it and provide step-by-step guidance on how to do it. Transposing a song is simply changing the key of a song or a part of music. 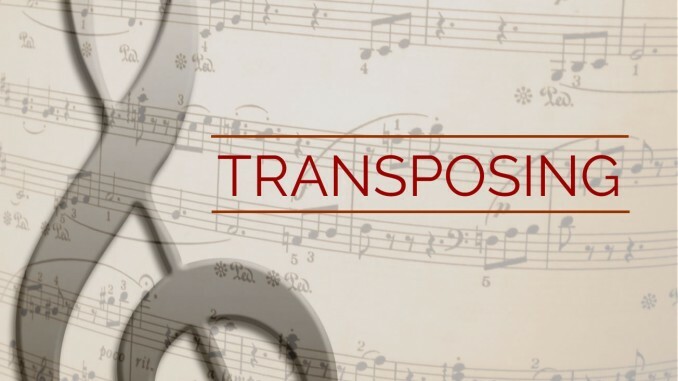 There are four primary reasons to transpose music. To play in a key that is easier for another musician. Often, this is a singer or a wind instrument. Wind instruments are often tuned to B♭ or E♭. To make a song easier to play. You man want to transpose a song to a key that is easier to play on the guitar. It sounds better in another key. This is subjective, but you may like the song at a higher pitch, or you may not like how your guitar rings on open strings. To reuse music. You may have a song that is perfect for a lick that you learned, but the lick was written in a different key. Transposing is easy to do. That doesn’t mean it’s always easy to play. When you transpose, your fingerings may be harder to play. Regardless, transposing the song is the first step. Follow these steps to do it easily. Determine the key of the song. Determine the interval between the keys. Shift the chords and notes by the interval. Determine the key: key of C.
Determine the new key: key of G.
Shift every note and chord by the interval difference found in Step 3. 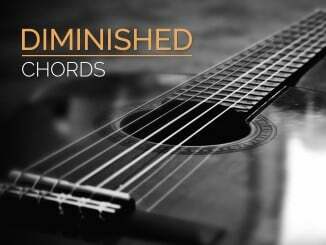 One of the easiest ways to transpose a song is to shift your position on the fretboard. If you need to transpose up a whole step, simply shift all your notes up two frets. It is really that simple! This method is practical, but it does not help you rewrite your notation like the other methods that I will show you. A capo is used to transpose the open notes up. If you are playing in the open position and transposing up the fretboard, you can use a capo continue to use open notes. 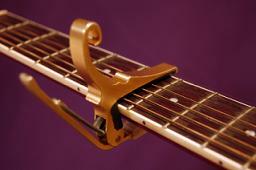 A capo works by clamping a fret similar to a barre on a barre chord. For practice, transpose one of your favorite songs up a few steps then use a capo so that you can use the same fingerings. To use the major scale method, you only need to know the major scales for the two keys. Simply write out the major key for each and use it as a decoder. You can use my major scale note chart to easily transpose anything. If you’re transposing from the key of C to the key of G, The table below shows the C Major Scale and the G Major Scale. For each column, change the note from the first scale to the note in the second scale. For example: Change all C notes to G. Change all D notes to A. etc. 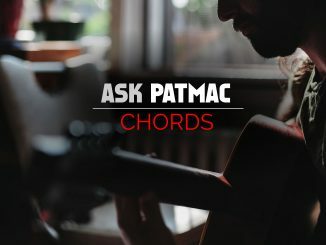 Chords work the same way, but you change them based on their root note. For example, Dm7 would transpose into Am7. To use the Circle of Fifths, determine how far around the circle you need to go to get from the original key to the new key. In the case of C to G, it is only one note. From the original key’s note, move around the circle the predetermined number of notes. In this case, we will move one. So an A in the key of C would be transposed to an E in the key of G.
The following song is a church hymn written in the key of D. We are going to transpose it into the key of E.
Below, you can see that the key changed from two sharps (key of D) to four sharps (key of E). You will also notice that the notes shifted up by a whole step, which is the intervallic distance between D and E. In practice, you can simply shift your guitar position by two frets. If your song is notated, you can use notation software like Guitar Pro or Sibelius to transpose your song. If you want to transpose audio, many recording programs can shift the pitch or transpose your song. This always works for midi music, but it may not work as well for actual audio. Transposing is essential knowledge for any musician. The concept is simple, and there are many methods of shifting the notes. I recommend learning them all. If you have any questions, recommendations, or you just like the lesson, let me know by contacting me or leaving a comment. Thank you for the kind words! I am glad that it helped.